← Here’s the Dirt…from The Clay Pot…Robots are arriving! Here’s the Dirt…The Clay Pot "Shop Photos"
Here are additional “shop photos” from The Clay Pot. We are always changing the look of the shop. 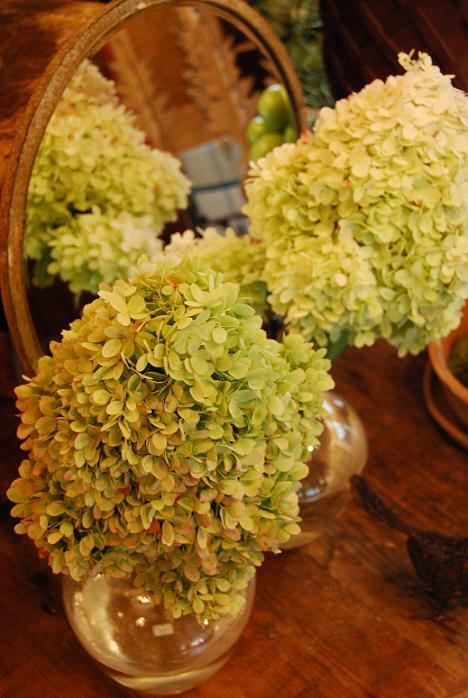 We just received these beautiful hydrangeas that can be dried and used in your home for fall. Believe it or not, there is only one large hydrangea bloom in each vase in the lower photograph. They are huge blooms! Call if you would like to order some of these beautiful hydrangeas.